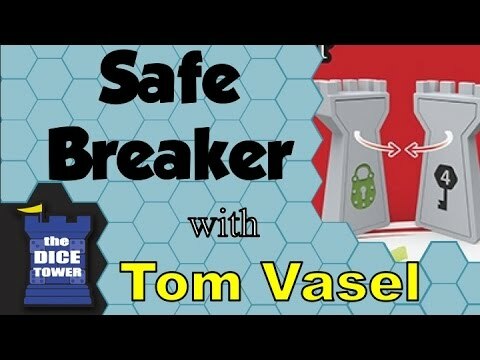 Safe Breaker társasjáték - Magyarország társasjáték keresője! A társasjáték érték! A Safe Breaker egy kiváló társasjáték, 3 - 6 játékos részére, az átlagos játékidő rövid, csak 10 perc. A társast, 7 éves kortól ajánljuk kipróbálni. A játékmenet erősen épít a memória és a játékos kiiktatás mechanizmusokra. Each player receives one color and one number, keeping these values secret since they form that player's combination. Play starts with one player asking the player to the left if they have a certain color and number. If they have either of those values, they say "yes" and they become the next player; otherwise they say "no" and the question passes to the next player to the left to answer. When a player thinks they know an opponent's combination, on their turn they can name that player's color and number. If the guess is correct, that opponent is out of the game and the player gets another turn — but if they're wrong, they are out of the game instead and the wrongly accused opponent now has the next turn. As far as the rules go, that's it! How much do you talk to your opponents? Do you keep quiet or suggest questions for them to ask? Do you remind them who answered what, and if you do, did you remember correctly?! Are you spinning disinformation?